The 'Music City' of Nashville, capital of Tennessee, is known for its country music and is also home to the renowned Grand Ole Opry broadcasts. Nashville is full of live music venues and singers, making this a particularly exciting and vibrant city. Surrounded by scenic hills and large expanses of farmland, more than six million tourists travel to Nashville each year to enjoy its country music. Many also choose to visit the city's numerous museums - which are all packed with information about the musical roots, the countless tourist attractions - such as Opryland and Music Valley, and the city's churches - which surprisingly number over 1,000 in the city and surrounding area. Famous for its historic 'Nashville Sound', which has attracted many of the world's leading country music stars throughout their careers, including Dolly Parton, the city is divided by the Cumberland River, which in turn is lined by a number of spreading parks and gardens. The official Nashville Convention and Visitors Bureau is located on 4th Avenue North and provides an extensive selection of tourist information, tourism leaflets and maps. 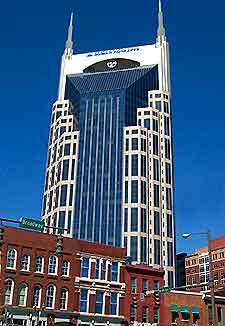 Also of note is the Nashville Visitors Information Center Broadway Avenue, which stands within the Glass Tower at the Gaylord Entertainment Center. Hotels in the city are widespread, throughout the East Nashville district, Downtown, the Opryland district and the West End. Cheap budget motels are also plentiful in this part of Tennessee and line the I-40 and I-65 interstates. Of note, all hotels around the city tend to reduce their rates midweek and during the quiet winter months. Further accommodation is based around the Nashville International Airport, which lies directly to the east, just a short distance from the Crescent Plaza Shopping Center. More information about Nashville Hotels. 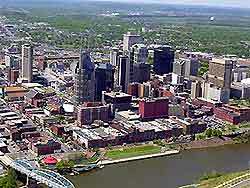 The city contains many exceptional tourist attractions, including Nashville Zoo - a vast animal kingdom, featuring exhibits for all the family; the General Jackson Showboat - offering regular riverboat cruises along the Cumberland River; the Nashville Symphony - with performances at the James K. Polk Cultural Center, situated in the downtown district; the Grand Ole Opry - the most famous stage in the city, part of the Opryland complex; Wave Country - an exciting water park attraction with fast daring and recreational areas; and the Bicentennial Capitol Mall State Park - a unique park offering peaceful parkland and a unique 200-foot / 60-meter granite map of Tennessee. Other popular sightseeing opportunities in Nashville include the Parthenon - a spectacular full-sized reproduction of the ancient Greek temple; the Ryman Auditorium - an impressive building hosting regular musical performances; the Hermitage - former home of President Andrew Jackson, now open as a museum with information about the Jackson era; the majestic Tennessee State Capitol - certainly one of the most prominent landmarks in the city, built in the mid-19th century by convicts and slaves; and the Nashville Opryland Hotel Indoor Garden and Collections - an unusual attraction housing three of America's most acclaimed gardens, including a large indoor lake. 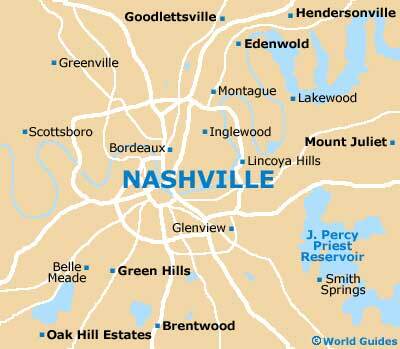 More information about Nashville Tourist Attractions and Nashville Landmarks. Tourist attractions located close to Nashville include the Adelphia Coliseum - a 67,000-seat American football stadium, home to the Tennessee Titans; the Beachaven Vineyards and Winery - a large commercial winery nearby, producing some of the most highly regarded wines in Tennessee; the Belmont Mansion - a truly exquisite mansion within easy reach of Nashville, once the home of Adelicia Acklen, one of America's wealthiest women during the 19th century; the Belle Meade Plantation - featuring a Greek Revival mansion and historic outbuildings; and the Warner Parks Nature Center - a green nature center and scenic wildlife preserve. More information about Nashville Attractions Nearby. Nashville also features many museums, such as the Adventure Science Center - featuring a range of exhibits and fascinating scientific information; the Country Music Hall of Fame and Museum - tracing the history of country music in Nashville; the Lane Motor Museum - containing a large number of unique cars and vehicle collections; the Tennessee Sports Hall of Fame Museum - celebrating the state's rich sporting history, with information about the region's famous sports stars; the Tennessee State Museum - chronicling the rich heritage of Tennessee, including information about prehistoric Indian inhabitants; and Nashville's Carl Van Vechten Gallery at Fisk University - with art works by famous artists such as by Arthur Dove, Pablo Picasso and Pierre-Auguste Renoir. 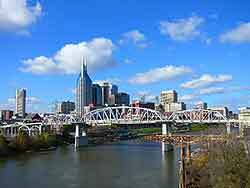 More information about Nashville Museums and Nashville Art Galleries.